We pay Cash for Boats – Get paid Today! The purpose of the cash for boats program is to make selling unwanted boat process easy. If you have a boat and you thinking of best way to sell your boat quickly and without hassle, let Auckland Boats Wrecker know. We are premier Auckland auto wrecker that pays cash for boats. If your boat has been made from year 1990 above and if you are based in Auckland or North Shore, we can provide you quick money in exchange for your small vessel, Yacht boat.Welcome to Auckland Boats Wrecker, the smart and easy way to make a reliable sale and earn cash. Our years of experience in the auto dismantling business made us a trusted name Auckland residents who are looking to sell their unwanted boats quickly. Through the years, we were able to build a solid list of clients, making us an established buyer in Auckland. Since 1999, we have been in this business, and we kept on improving year after year to offer nothing but exceptional services to our customers. Auckland Boats Wrecker provide cash for boats and will offer you an fair price for your vessel. After you make an initial inquiry, we come to you and complete a thorough assessment before making a genuine offer. We strive to complete the sale at a time that is convenient to you, because we understand that flexibility and ease is important and makes for a simpler process. For even better customer experience, we’ll come to you to assess your boat, whether it’s at the marina or in your front yard. We’ll also arrange for its transportation so you won’t have to do a thing – nothing could be easier! We make the financial side of the transaction easy, too. We take care of all the paperwork, including disposal and finance contract payouts, and settle with cash, or online bank transfer. No certificates are required – all you need to do is contact us and we’ll do the rest! Auckland cash for motors has been in operation since 1999, so we have many years of experience behind us. In that time, we’ve built up a great reputation for being reputable, licensed boat brokers who deal with you directly. It’s our aim to enable boat owners to sell their vessel without having to spend hundreds of dollars on certificates and advertising. We also aim to provide our customers with complete peace of mind, with the knowledge that they’re dealing with experienced and trustworthy cash for boats that will meet their needs with professionalism. 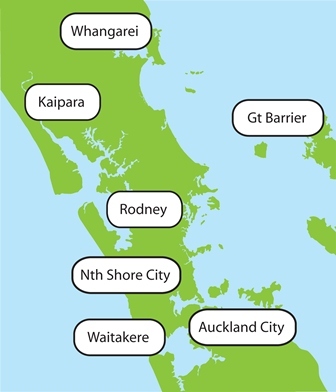 At Auckland Boats Wrecker, we have the infrastructure to cover most of the country. If you’re in Auckland, North Shore or South Auckland, you can use our services to get cash for boats. If you’re relocating interstate or overseas, are in need of quick cash, or simply wish to get rid of your boat, we’ll ensure the transaction is as fast and stress-free as possible. If time is not a factor, we can also shop around extensively and find you the absolute best price. The choice is yours. Contact us today on 0800 70 70 99 and benefit from selling your boat with Auckland Boats Wrecker you can trust. Start making cash for your boats, today! This entry was posted in auto salvage and tagged Auckland Boats Wrecker, Auckland cash for Boats, boat buyers Auckland, boat scrap yard Auckland, boat wreckers, boats for sale auckland, Boats Wrecker, cash for old boats, jetski wreckers Auckland, North Shore Boats Wrecker, old boat buyers, old boay buyers NZ, SCRAP BOAT FOR MONEY, unwanted boats on January 11, 2016 by Cars Wrecker.